Make your own life. Don't depend on any man. Your happiness is your own responsibility. 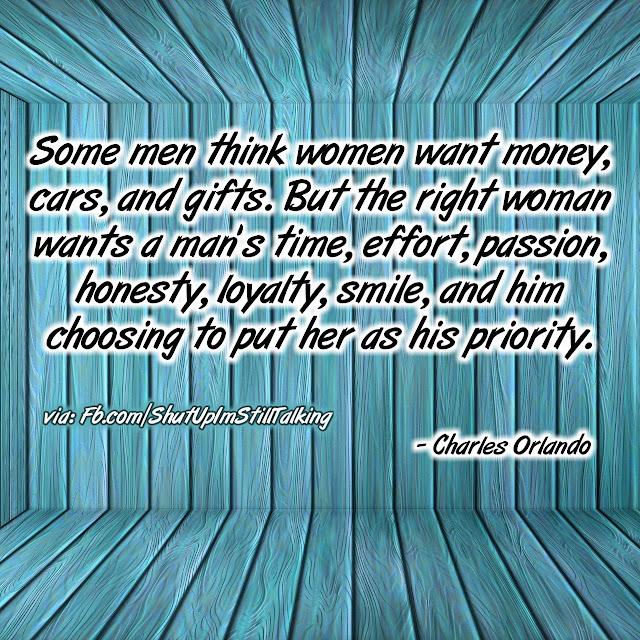 A really good woman does not want money card and gifts She wants a real man who gives her time effort honest loyalty and protect her. Money is not everything, if a woman thinks marrying a man who can give all material things and comfort.....then the woman should marry someone who owns a bank.Lol! For me , I just needed to do a better job picking a mate.Sometimes we put more effort and thought into everything else in our lives. Genuine love ,character , morals and good work ethic is everything. A good woman wants a real man picture/image is an Inspirational Stuff to Inspire and Motivate You. You can download pics by just clicking on the Images. Thanks for visiting Truth Follower an online place for huge collection of inspiring pictures, quotation, and Sayings Images. 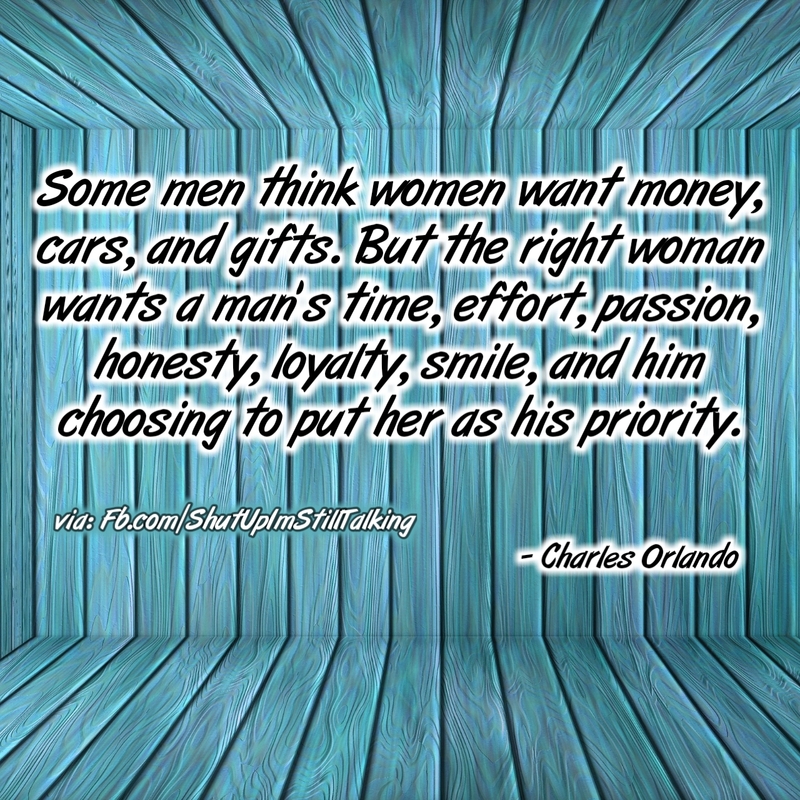 If you like A good woman wants a real man, Please Share with friends and family on Facebook, Twitter, and Pinterest.